Planted aquariums are living works of art. Plants remove nitrates and phosphates, helping to improve water quality between water changes in an aquarium. Planted tanks are not difficult or expensive to setup. The easiest to create and maintain is a medium tech design. Planted tanks can be developed from currently existing tanks with very few add-ons. They are not by their nature more demanding. What most planted tank owners do a few hours a day, really isn't maintenance. They just stare at their tank appreciating it and contemplating what to do next. Planted aquariums are easy to set up or keep. This is a basic installation outline, to help beginners succeed with there first attempt. In this order, I will cover: tank selection, substrate, water, thermometer, filters, bacteria, heaters, cooling,light, aeration, planting, hard-scape, planting, carbon dioxide, fertilizer, animals, and common misconceptions. Setting up a planted aquarium is not difficult if you are provided with good information. How to set up a planted tank begins with the tank itself. Tanks come in many shapes and sizes. The most common shape is the rectangular cube. When selecting a tank, bigger is better. Having room to grow is very important. Your plants will grow along with your interest. I suggest starting with around 55 gallons. Bigger tanks are easier to maintain then smaller tanks, because the bio-load is more dispersed. 55 gallon tanks are available at almost every pet store. 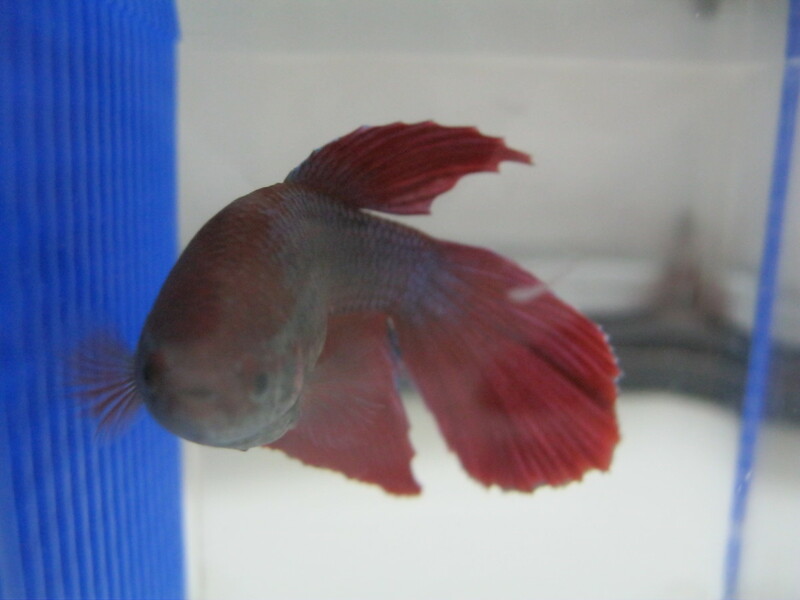 Petco has a couple 1 dollar per gallon sales every year, making them inexpensive. Accidents aren't as fatal when there is plenty of water for them to happen in. Your stocking options will increase dramatically with a larger tank. Substrate is important. A good substrate is the foundation of a thriving aquarium. A mixture of rocks, sand, smooth gravel, and aquarium planting medium will give the best results. First rinse the substrates before adding them to your tank. The water should run clean. If you don't thoroughly rinse substrates your aquarium water will become cloudy. It will eventually settle, but when it is disturbed by animals and water changes, it will turn cloudy again. This dust cloud can clog filters and isn't very pretty. If rocks are collected from outside they may have unwanted residues and bacteria. Place the aquarium planting medium in mesh bags and tie closed with fishing line or undyed polyester tread. This keeps it together at the very bottom of your substrate. Aquarium planting medium is usually clay beads, not always a desirable appearance. It holds nutrients for slow release directly to the roots, with preference to extensively rooting plants. This is also a good time to insert a fertilizing root tab into the middle of the bag. Add the rocks into the tank, creating barriers to hold the other substrates in a slope. Creating rock retaining walls, allows the substrate to settle highest in back and lowering as it approaches the front. It is a good idea to plan an off-center area with less substrate, like a valley. Think, two mounds at either end sloping to the back of the aquarium, held in place with rocks act as retaining walls. Fill the area behind the rock retaining walls, about half full with the bagged planting media. This were your deepest substrate will be. Plan to plant, plants with large root structures in deep substrate, because they gather more nutrients from the substrate; instead of the water itself. Next add the smooth gravel making it level with the top of the rock retaining walls; some will leak through the cracks, that’s OK. The gavel goes under the sand helping the retaining walls to be more effective. As time goes on more gravel will mix with the sand on the surface. Finally add sand. Initially cover the entire bottom, and then add more to the mounds. Again create a slope, rising to the back of the tank with a valley in the middle. The valley doesn’t have to slope, and it is better if it doesn't. If you want to absolutely prevent gravel and sand from leaking between the cracks in the rocks, use cut up pieces of Tupperware or other non-biodegradable plastics, behind the rocks (probably won't work). A thermometer is a critical piece of equipment. A thermometer will tell you when your heater is not working correctly, or when the water gets too hot from a hot day. One that floats or is suction cupped to the inside of the tank is preferred. The tape like, stick on the side, type is less accurate and can’t be removed to test water before it is added. All water is not the same. Only deionized water is close to pure H2O. Once it’s in your tank even that's impure. Water testing must be done. Tap water is what most people use for their aquarium. It must be treated. There are a few different methods of treatment: deionizing, sitting, and chemical detoxification. pH is the most important. Pure H2O has a pH of 7.2. A pH of 7 is considered neutral. Aquarium water should not very more than .2 between weekly water changes. Consistency is more important than its level. Some plants and fish like acidic water around 6.5, some like more basic water around 8.2, most like their water in the middle. 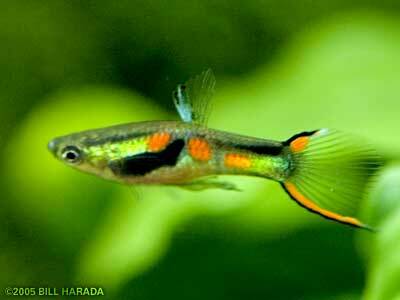 Fish and plants commonly found in aquariums are hardy and will adapt. There are some that won't, like Discus fish. Again, it is more important to have a consistent pH that is sometimes perfect. Acids will lower the pH and bases will raise the pH. If you find the need to adjust the pH add weak acids a little at a time until you overcome the buffers (alkalinity), then a little bit will make drastic changes. BE CAREFULL, if you add too much the acid can burn the occupants. This could happen before the pH changes if you have a very high alkalinity. Ammonia is pure fish waste. This should be kept at undetectable levels. This can be accomplished with adequate filtration and a healthy colony of bacteria. Nitrite is the first breakdown of Ammonia. This should be kept to a minimum. Filtration and bacteria will do this. Nitrate is the final break down of Ammonia. This is plant food. There needs to be some but not much. Levels of less than 2 parts per million (ppm) are ideal. Levels can exceed this but increased algae growth will result. If levels get way to high, it can cause stress and even death to fish. The fish will be fine with levels less than 7 ppm, but many plants will get covered in algae preventing photosynthesis. To reduce nitrates do regular water changes, do not over stock animal life, and have plenty of plant life will help keep the levels lower between water changes. Phosphates are another animal waste but not nearly as toxic. Their levels don’t usually have to be tested. Phosphates are also plant food. Doing regular weekly water changes should keep phosphates levels down. Water hardness is the total level of metal ions. When salts dissolves in water (electrolytes) one part will be a metal and another will be nonmetal. Sodium Chloride is table salt, when it dissolves in water it breaks apart into a sodium ion and a chlorine ion. Sodium is a metal and Chlorine is a nonmetal. There are more types of salt then table salt, but all salts that dissolve in water are electrolytes. Hard water in a planted aquarium is generally a good thing unless it's in excess. The hardness of normal tap water is fine. Hard water usually has a high pH. Alkalinity is the level of pH buffers. pH buffers prevent fluctuations of pH. Alkalinity is closely related to your water hardness. It is measured two ways gH and kH. gH is the total effect of pH buffers and kH is the carbonate level. When aquarists discuss alkalinity, gH concerns animals and kH concerns plants. Salinity is a measure of the amount of salt. Plants and animals that live in brackish waters are adapted to higher amounts of salt then fresh water fish. Most tropical fish are native to soft acidic waters with very little salt. The amount of salt in tap water is a lot more than the waters of their ancestors. People will add salt because they believe it will help with the fishes overall health. This is only true if it's native to waters harder than your tap water. 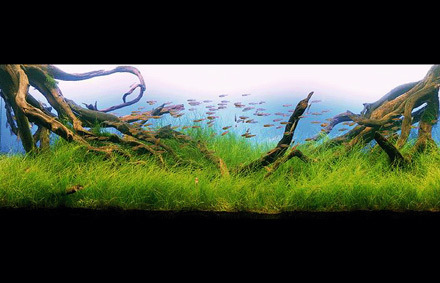 Salinity is rarely discussed between planted tank hobbyists because it is water hardness in excess. Salinity is critical in marine aquariums. If you’re using tap water you don't have to test for the exact dissolved minerals more than once. Unless you move, they generally stay the same. What type and how much, fertilizers you use will depend on, what's already in your water and the plants you are stocking. Deionizing is where the dissolved substances are physically removed from the water making nearly pure H2O. When using deionized water electrolytes must be mixed into the water before it is added to your aquarium. It has a pH of 7.2 but will change to very acidic quickly because there are no chemical buffers to prevent its rapid change. Carbonate ions are the main chemical buffer and the levels are known as kH, other substances also cause a buffer, but generally raise the pH further. Collectively all buffering substance levels are known as gH. When aquarium hobbyists discuss alkalinity, people more concerned with animals will refer to gH and people concerned with plants will refer to kH. Sitting water means that you allowed it to sit in a bucket for a day or 2. This allows the breath out chlorine. Almost all tap water is treated with chlorine. It is highly toxic to all living things. If your water is treated with fluorine, it is even more critical that it is removed. Fluorine is more reactive than chlorine but behaves very similarly. They are both gases on the periodic same column. Chemically detoxifying water means that you added salts that react with heavy metals and chlorine/fluorine. They will make a precipitate (PPT) that will not dissolve in water. The PPT is in such small amounts that you cannot see it. This makes the water safe for fish and plants because these dangerous substances are no longer active. Before adding the water it should be nearly the same temperature as the water in the tank already. Test it with a thermometer. Add water slowly over the valley, for more complex substrate arrangements use a plate. If using tap water write down the results of the chlorine and chloramine test before adding detoxifier. Then add the detoxifier and write down the results for hardness, alkalinity, pH, nitrites, nitrates, phosphates, and all the other tests you choose to do. This will act as a baseline. It will tell you what you’re adding to your aquarium. Install the filter and begin cycling the tank. There are many types of filters. Canisters are the best but HOBs are the most common. If you have under-gravel filter replace it. Fillers are rated by how fast they pump water, not how much filter media they have. Do some math and multiply the gallons of your tank by 5. The filter should pump all the water in your tank 3-7 times an hour. Because filters are rated by pump size instead of filter media, filter quality is extremely variable. Find the filter that's rated for your aquarium with the most filter media (stuff that the water runs through). There is no such thing as over filtering, but you can easily under filter. Overrate your filtration system, 150% should work well. Even though you cannot overdo the filter you can have too much current. This will depend on your plants and fish. If anything struggles with the current turn it down or put a sponge over the intake. Aquaclear makes the best HOBs because they have the patent on a simple design for the best filtration action. The current can be adjusted, lots of media, run smoothly, easy to clean, only the carbon has to be replaced so you can keep the bacteria colony when you clean it, all the water passes through the media, and their middle of the road price makes this the best HOB period. You can pay more for other HOBs but they will not work as well and anything cheaper isn't worth your money. I don't sell filters it's just a simple fact. Add a bacteria culture to jump start the nitrogen cycle. There are two types of bacteria that need to be added; one to covert ammonia into nitrite, and another to convert nitrite into nitrate. Fish should not be added until the bacteria have successfully colonized. This will happen in about a week. A filters main purpose is not to remove anything from the water; instead it provides a place for these beneficial bacteria to flourish. The bacteria will break down ammonia into nitrite then into nitrate. Ammonia is extremely toxic to your plants and animals, nitrite is less toxic to your animals, and nitrate is the least. When you’re doing your weekly water changes, you are lowering the nitrate levels by diluting the old water with new water. 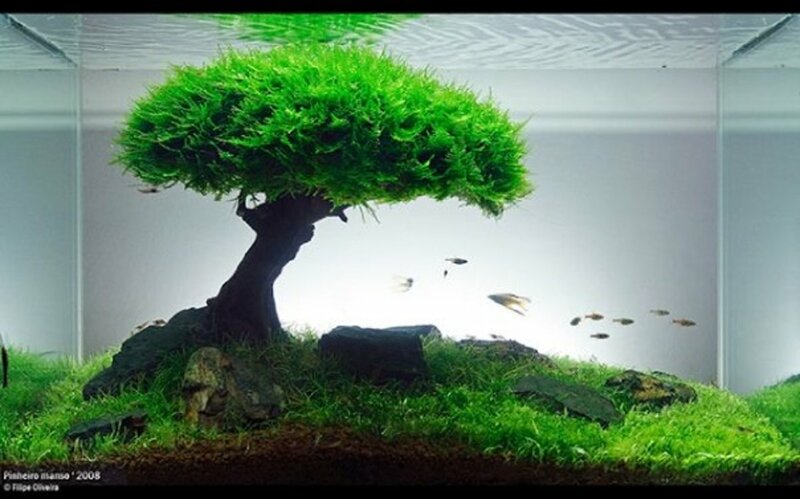 Plants in your tank will feed on the nitrate and this includes algae. The nitrate levels should be kept beneath 2 parts per million, higher levels are acceptable but more algae will grow. Having plants in your fish tank will not alter the need for weekly water changes, but they will improve water quality between changes. Add heater(s) at the back of the aquarium. Most heaters are rated with the assumption that room temperature does not drop below 65 degrees Fahrenheit. If room temperature might drop below 65 degrees then you should install additional heaters. The first one(s) should be set at 78 degrees because this is the optimum growing temperature of most aquatic plants and tolerable by almost all. The backup, in case room temperature falls below 65 degrees, should be set at 74 degrees. 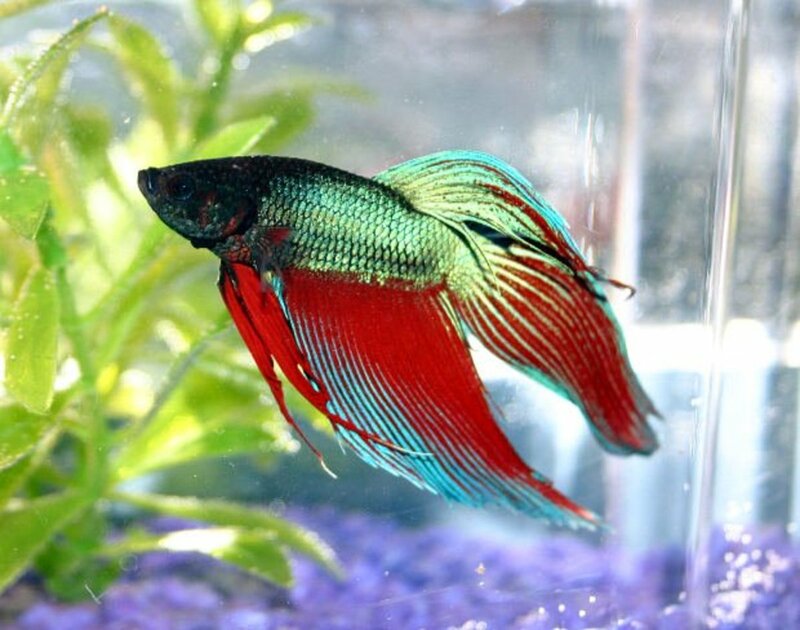 In the event that your first heater or set of heaters is in capable of maintaining aquarium temperature the backups will turn on before any stress is caused to fish or plants. If you are using a fully submersible heater install it lengthwise just above the substrate at least an inch or two. If your tank gets too hot, the plants and animals will suffer. Higher temperatures make gases, like O2 and CO2, less soluble in water. Fluctuations of temperature are also harmful. If the room gets hot, or the light heats the tank, there are ways of cooling the water. Opening the lid can cool the water, by letting heat created from the lights to escape. The lights could be run for shorter amounts of time during the day. A fan can be used to cool the water, by placing it so that it blows across the surface of the water. This creates a breeze. This breeze will encourage evaporation, cooling the water. A frozen bottle of water can be floated inside your tank. Realize that this creates rapid cooling and should be monitored. Make sure the heaters are working before you place ice in the tank. Do not place ice cubes in the water. Ice cubes will melt too quickly and cool to fast. You want the ice to last at least a couple of hours, so a frozen bottle works best. As the ice melts it turns to water that will insulate the remaining ice; the ice will melt slower. Cooling units can be used. They work like a mini air conditioner for your water. They are expensive but are very low maintenance. Next add light. Many light fixtures are available coming in different wattages, with a range of light spectrum bulbs. The cheap ones that came in the box with tank packages are usually low light. Low light is enough light to see your fish but not enough to grow most aquatic plants. There are plants that will grow in low light conditions. Your planting options increase with the amount of light. The general rule of thumb is that 1 watt per gallon is low light, 2-3 watts per gallon is medium light, and 3-5 watts per gallon is heavy light. This rule of thumb is with the assumption you are using fluorescent lights. For best results use heavy light, these fixtures are available for coral aquariums. The spectrum of light that you use is also an important factor. Plants mainly use a color of light that is not produced in most bulbs. It is very advisable to use a timer for the lights so that a regular day/night cycle can be established. LED fixtures are the best for most aquariums. LED fixtures with enough light output are expensive. T-5 fluorescent lighting is generally preferred because of their: skinny bulbs, narrow footprint, availability, efficiency, low heat output, and they are don't cost much more than other florescents. T-8 fluorescents are also commonly available. T-12 florscents are large, less efficient, and it's difficult to find antic blue bulbs for them. CFL or compact florscents are great. Their small size allows for easy placement in small places. CFL fluorescent bulbs come in many socket types and need to have ballasts. Most have a ballast at their base. If your fixture came with incandescent bulbs replace them with CFLs. 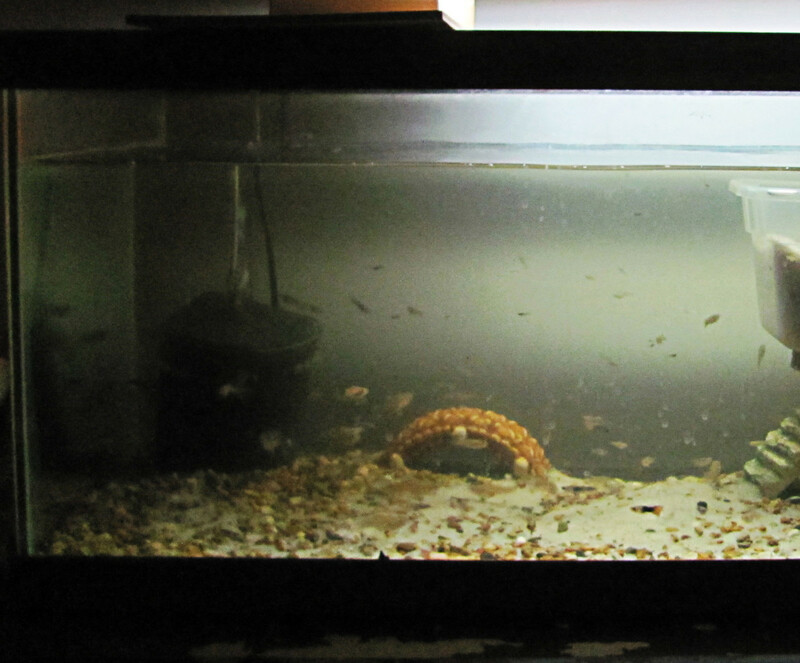 Then give more light by placing desk lamps with more CFLs around the sides of your tank. Incandescents are a dead giveaway that you do not have more than 1 watt per gallon. Halogen lights emit a lot light for their size. Halogens are typically used for very large aquariums and produce a lot of heat. If you plan on having a tank the size of a public swimming pool you should look into plasma lighting. Plasmas should not be used for tanks that are anything less than huge. Light spectrum is important. Mix 50% antic blue light with 50% daylight or soft white. Antic blue is the color that plants thrive on. They will grow faster, bushier, and much healthier. Most bulbs are designed to emit nearly invisible light. Antic blue is a hole in our vision and is where most plant photosynthesis occurs. Daylight bulbs emit more red light which will bring out the red in fish and plants. Without red light most plants will not flower. With red light plants will grow stringer and algae will be a slightly larger problem. In soft white bulbs red colors are dulled: plants will grow bushier, and algae growth will be stunted. Timers are cheap and well worth the time of going to the store. A simple security timer can be used and these are available at most hardware stores. Having a regular day/night cycle is difficult to establish if you are relying on manually turning the lights on and off. Plants need a day to conduct photosynthesis and a night to recharge for the next day’s growing. A regular cycle of less than 14 hours on and at least 10 hours off, at the same time every day, will promote plant growth. This can be adjusted to your schedule. When you wake up for your morning coffee, the lights go on. When you should start getting ready for bed, they turn off. Plants need oxygen at night when the lights are off. They absorb oxygen though their roots. Plants release oxygen though their roots during the day and absorb it at night. Aeration isn't necessary for aquatic plant growth but will promote it. The aeration will help maintain the health of fish and invertebrates by supplementing the filter and plants. 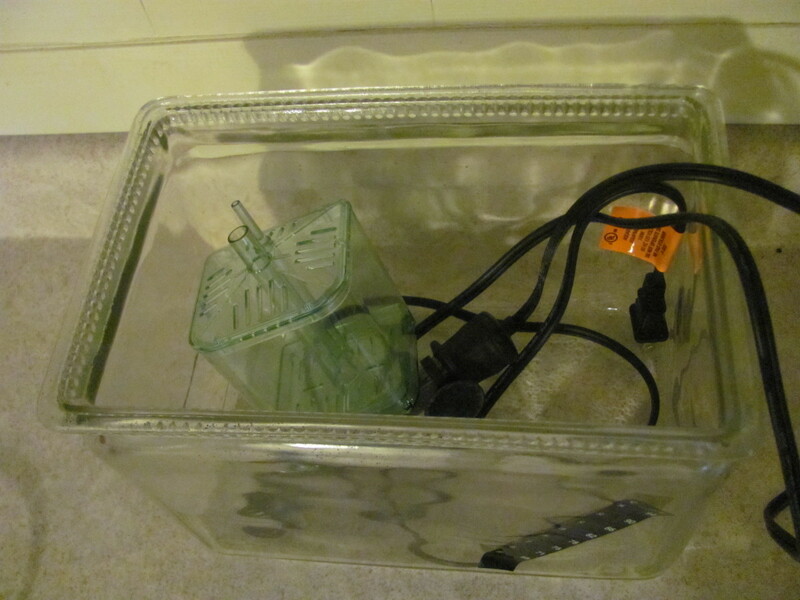 Use an aeration pump that is over rated for you aquarium. The only way to over aerate is to turn the water to foam. This will not happen easily. CO2 will displace dissolved oxygen (O2) in the water, so having an oxygen rich environment will not reduce CO2 levels. Place a check valve between a T splitter and the pump to prevent siphoning. The T splitter will direct the air in two directions. Place an air stone at the end of each line after the T valve. Install the airstones just beneath the substrate on both mounds. It is best to run the lines inside your tank up the back corners, making them easily concealable. Now add your hard-scape. Hard-scape consists of wood, large rocks, and large pieces of décor. 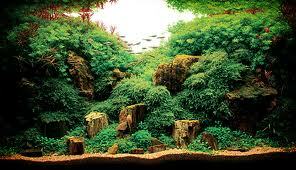 Most professional planted aquarium designers use natural looking hard-scapes. Using things that are obviously man made breaks the illusion of a fish world. Things that are painted should be avoided. For best results use real rocks, and real bog or root wood. If collecting rocks from outside choose smooth rocks and collect from the same 5 foot radius. It will look more natural. Rocks collected from sharp bends in a river will have more variation, while rocks collected from a lake shore will be more uniform. A good test to perform, that ensures that volcanic rocks aren't going to kill your fish and plants, is to use a few drops of vinegar. If the vinegar bubbles on contact with the rock, the rock has a high pH. If nothing happens then the rock is safe. Collecting drift and root wood from outside is tricky. Conifers like pine and cedar have poisonous wood along with birch, and should never be used. Apple roots are considered the best, followed by other fruit bearing trees. Hard woods like oak, ash, and maple are excellent. All wood must be cured. It has to be dried for about a year otherwise the sap will leach toxins. Dried wood and driftwood must be boiled to kill anything nasty they may be harboring. They should be repeatedly boiled then allowed to sit in water over a period of months, to pull out tannins. There will always be tannins but they won’t be as prevalent, and shouldn't stain your water yellow for more than a few months. Boiling and soaking helps. If it floats it is not saturated and needs to be soaked and boiled more. When it stops floating, soak and boil it more. It’s best to buy your wood from pet stores then soak and boil it for a few days. Plants should be placed with the tallest in the back and the shortest in the front. As a secondary consideration place the ones with more finely detailed leaves in front of the ones with more uniform patterns. Plants with large roots go in the deepest substrate. Plants with smaller roots can be planted in the rocks, crevices, and shallow substrate. Fern, moss, and Anubias species should not have their roots buried. They do not have true roots they have rhizomes, these need to be exposed to open water. For ferns and Anubias sandwich the rhizome between to objects where you want it to grow or you could tie it to piece of hard-scape with fishing line or black cotton tread. Moss can also be tied to pieces of hard-scape. A few easy first plants are: Horn Wort, Amazon Sword, Jungle Vale, Java Moss, Water Sprite, Java Fern, Water Lilies, and Anubias species. CO2 is a dissolved gas that plants convert into sugar. It is necessary but CO2 injection isn't. CO2 is exhaled by all animals, even microscopic bacteria. It will enter your aquarium naturally through the surface, aeration, filter action, and animal life. When CO2 levels are slightly increased plants will grow rapidly. There are two main types of CO2 injection: pressurized CO2 bottles and CO2 generators. The installation of both is very similar. Pressurized CO2 tanks can be bought with a regulator. These will systems that release a steady amount of CO2. A 2 pound bottle will last a long time. The initial setup cost is expensive, but empty tanks can be exchanged at all wielding shops and most breweries cheaply. CO2 generators can easily be made for less than two bucks. CO2 generators work under the principle water + sugar + yeast = CO2 & alcohol. These systems brew alcohol as a by-product. They can be set up extremely cheaply. You will need a bubble counter. This is essentially a small bottle half filled with water. The tube with CO2 flowing in from the CO2 tank or generator is beneath the water line. The tube leading into the tank is above the waterline. As the gas flows in it makes bubbles that can be counted. About 3 bubbles per second is safe for every 15 gallons. You can use less but don't use more. CO2 defussers help disperse the CO2 in the tank. They make finer bubbles so that the water can absorb more of it. This is an extremely strong acid, like Sulfuric Acid, and will crash your pH killing everything. Before you reach 20 ppm, you may or may not see fish gasping at the surface. CO2 will displace oxygen in the water. This will happen faster at higher temperatures because the water becomes less gas solvent. It will hold less gas and won’t want to absorb anymore. With higher temperatures the Carbonic Acid reaction will happen faster. There is no need to push the CO2 levels over 15 ppm. It is a growth enhancer and can be used to grow some terrestrial plants under water. A little works well. Also, the more CO2 you add the more algae will grow. Root tabs are solid fertilizers and the preferred method of aquarium fertilization. They last longer than liquid fertilizers and put more nutrients were they can be absorbed by the plants. They are pushed underneath the substrate next to the roots. If water detoxifier is being used to treat your tap water wait at least 24 hour before adding liquid fertilizers. Before adding liquid fertilizers check the levels of nutrients. If you live in an area with hard water you may find that there is no need for them, or that there is an abundance of all but one. In my area we get liquid concrete that has almost no Fe ions. 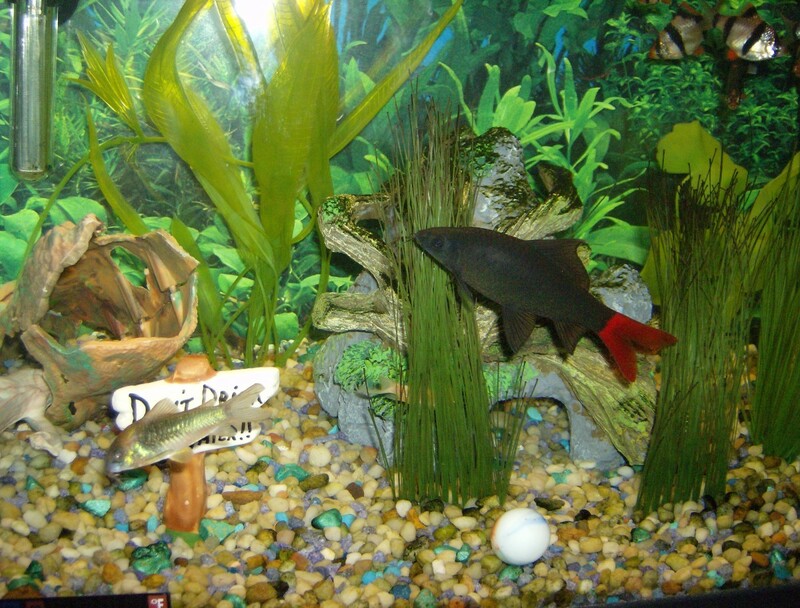 If animals are going to be living in your tank do not use a fertilizer with nitrates or phosphates. Excessive nitrates and phosphates are what you will be removing weekly. Again what's good for plant growth is good for algae growth. Keep nitrates and phosphates to a minimum and you won’t have too much of a problem. Wait about a week before adding any animals. This allows the bacteria culture to develop inside the filter and the substrate. Add one fish no more than once every 3 to 4 days or until ammonia and nitrite levels are undetectable. The rule of thumb is no more than 1 inch of fish for every 1 gallon. This means 1 inch when it’s fully grown. 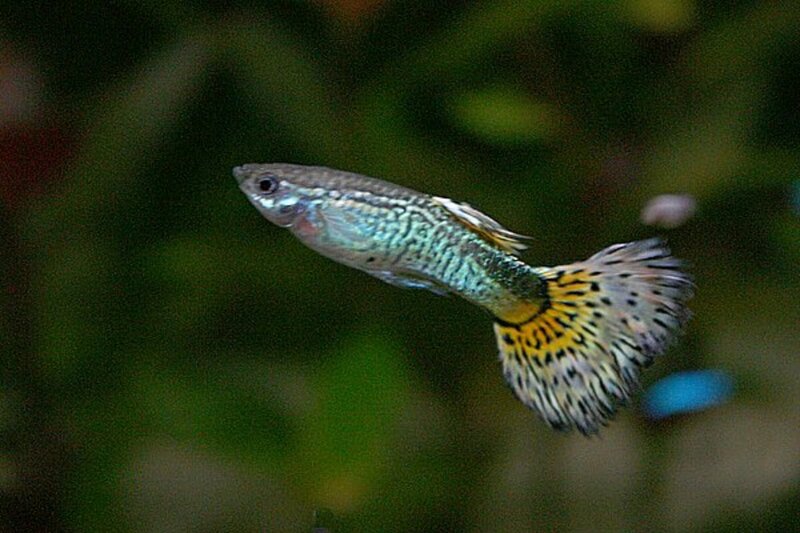 Juvenile fish create a higher bio load per inch then fish that are fully grown. A gallon per inch is a maximum. Also, fish need room to swim. More active fish like to have open swimming areas where they can cruise. Instead of trying to house as many fish as possible, try to provide the best environment for a few fish. This will help with algae by reducing the amount of waste in the water. 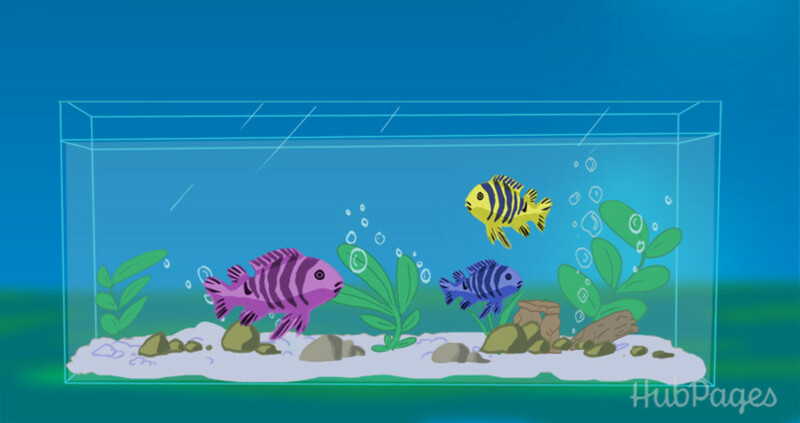 A group of smaller fish looks better than a couple big fish, by creating more activity in your tank. When selecting animals, do your research before you buy anything, and try not to get a bunch of bottom feeders. Ideally you want fish that swim at the top and middle areas, with a bottom feeder or two. Overcrowding increases stress and aggressive behavior. Shrimp are most comfortable if they have moss. They will eat, sleep, breed, and hide in the moss. Crabs are native to brackish water. They are often kept in fresh water at disreputable stores. They while soon die, even if you provide them with a proper environment. Their health has been seriously compromised by mistreatment. Snails are very common hitch hikers. Most can become problematic if their populations aren't controlled. Some fish species will eat them, or you could crush the shells when doing water changes. There isn't any reason to use poisons. Apple and purple mystery snails are easy to control. They lay their eggs above the water line. To prevent them from breeding scrub the waterline when you scrub algae during water changes. There are amphibian species that do well in aquariums. They will do better if they have a place to sit above the water. Lily pads, lotus, water lettuce, and other floating plants can provide this. Keep in mind that most amphibian species need a larger area outside of the water. Aquatic reptiles need a place to bask. Paludariums are similar to aquariums but they have a large area above water to allow basking. Aquatic animals need at least 10 gallons for every inch. That means your 4 inch turtle needs at least 40 gallons. If you have 50 gallons of water 40 of it will be for the turtle and another 10 would be available for other creatures if you max stocked it. All aquatic reptiles eat fish. There are no fish, amphibian, reptile, invertebrate, or any other animal that you would ever put in your aquarium; that eats poop! If it is eating poop then there is a major problem. The most common being that it is not eating poop, but left over food or algae, that you mistook as poop. Second most common is that it is starving to death. A third possibility is that it is a certain species of shrimp that eats bacteria growing on poop known as bio film. You will always have to do water changes unless you put a small fish in a big aquarium and make it a jungle of healthy plants. You will still need to do water changes because of plant waste, just not weekly. Yes, plants make toxic waste too; albighit very little. Plecostomuses are not an algae solution. The idea that you can get an animal that will halt algae growth has a fundamental flaw. Animals produce waste. Ammonia is converted to nitrite, then to nitrate, nitrate is plant food, and more algae grows. If you have light and water, algae will probably grow. Algae eating animals will eat the algae but more algae will grow from their waste. Algae is a fact of life and should be controlled by keeping nitrates and phosphates low, then scrubbing off what still grows. There are chemicals that reduce nitrates and phosphates solubility in water. These chemicals will remove food for the rest of your plants. The plants you want to grow can and will grow better with less nitrates and phosphates in their water. This gives them the ability to out compete algae for food. Regular water changes, less animals, and more plants means less algae. Great for newbies like myself and very helpful. Thank you. Your article is thorough and detailed. It is just excellent for starting an aquarium. The only thing I will add are the name and types of plants recommended for beginners. i am student of oremental fish culture. Thank you very much!! The best book on fish keeping!